Seriously adorable - I've been campaigning for a rabbit for a few months now, my guy isn't convinced. Is that your gorgeous lop bunny, hun? Oh how cute. 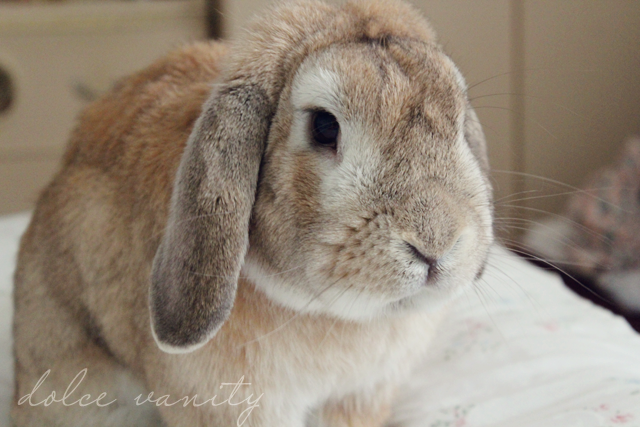 What type of lop is he? I have two little sweet but cheeky mini lops that takes over most of my time! I love rabbits!